Hey Guys... 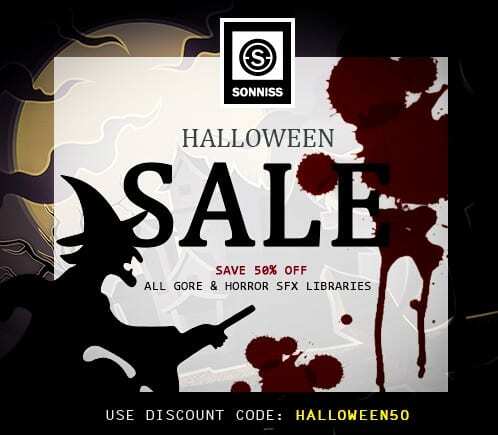 This is Timothy McHugh here from Sonniss... Just thought I would let you all know that the Sonniss Halloween Sale has now started. - You can save 50% off selected horror & gore Sound FX Libraries from now until October 31st. Use the discount code: HALLOWEEN50 at checkout. Visit http://www.sonniss.com/halloween-super-saver/ for more information.